As Christians we sit through a lot of sermons. The preaching ministry is one of God’s greatest means of grace to us, the means by which he teaches us truth, by which he calls us to pursue truth and to live out of it. And yet many of us are passive listeners, people who expect great preaching skill from the pastor but demand no listening skill from ourselves. 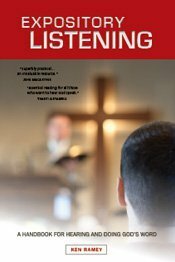 Lately I have come across a few resources dedicated to helping Christians be better listeners, to help them emphasize active listening. Here are three of them, each with a few words of description and an overview of the contents. 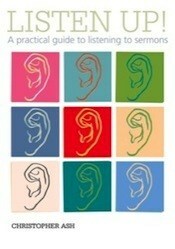 If you have never read a book on how to listen to a sermon, I’d encourage you to do that. Take full advantage of the privilege you have of sitting under the ministry of the Word! 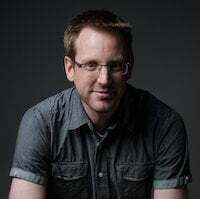 Thad’s book is written from a pastoral perspective and is applicable to any level of listener. 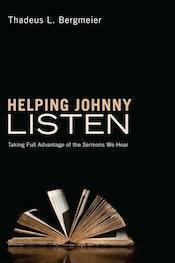 I was glad to see that he included a section on the difficulties of being a preacher and a listener in the Internet age–when better sermons by better preachers are available in the millions online. 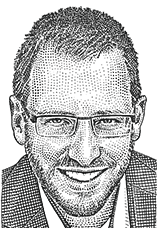 He focuses on the importance of being a faithful listener within the long context of a single local church. Ken’s book is also written at a popular level and, with just 110 pages of text, is quite a manageable read. It comes endorsed by John MacArthur, Joel Beeke, Jay Adams, Lance Quinn, Thabiti Anyabwile and yours truly. Ash’s book is actually just a booklet, weighing in at only 31 pages. The beauty of this one is that very thing–its brevity. This is the kind of booklet you can buy in bulk and distribute widely. Many churches hand it out to all of their members as a reminder of their duty to listen. In those 31 pages, Ash packs in quite a lot of value. 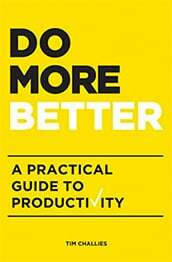 The book is an an attractive, fun, easy-to-read format that will make people want to read it. Do What the Bible Says Today–and Rejoice!